Wow do I have a lot of Work progressing…. Thanks Tami for hosting us all! Let’s make this kinda quick, I am really tired and want to be understandable. I am still working on those wacky socks. I am still not sure I will use this method again. I may prefer DPNs. 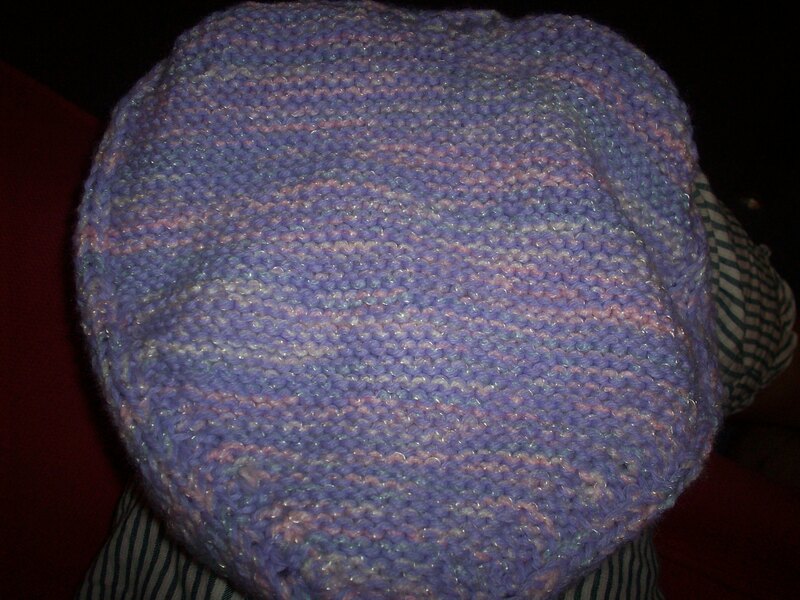 I am also needing to get some money to get some stuffing to finish this baby. It’s going to be a heart pillow. Not so much looking like a heart is it? I am also working on some fingerless mitts my Grandma ordered a week or so ago. She will not need them until it is cold again, but I want to get them knocked out anyhow. Any excuse to not work on those socks…. I just started a box I plan to felt, I intend for it to be the mail catcher, as we usually have a pile lying around waiting for processing, so to speak. 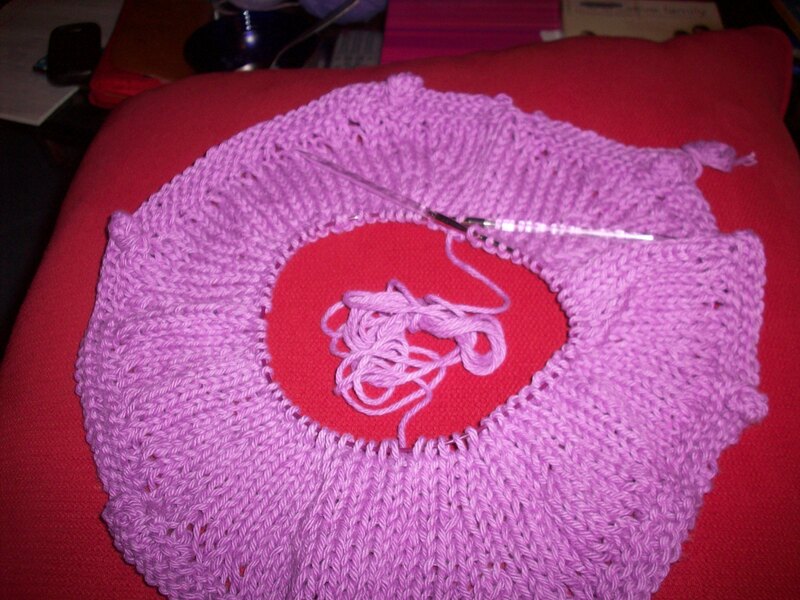 It is late here in the home of the pixie, and I am still knitting…. That’s some kind of crazy, huh? I believe that is all for now…. Watch out! I may start something new any moment! You weren’t kidding– that IS a lot of projects! Go you! Wow, I think you win for most projects going right now! I love that you’re actively working on them all though! You do have a lot going on! Is that 2 socks on the same needles? 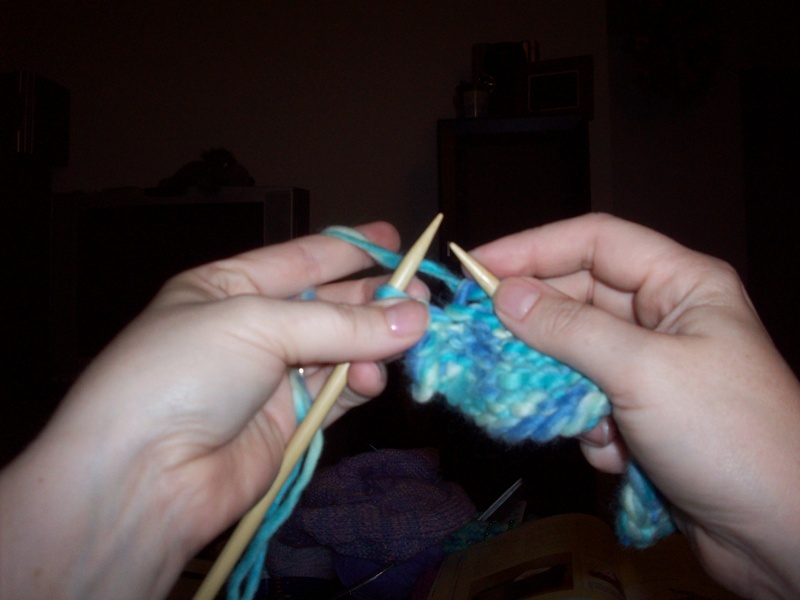 You may want to try circular needles for on sock at a time before you give up and go back to DPNs. 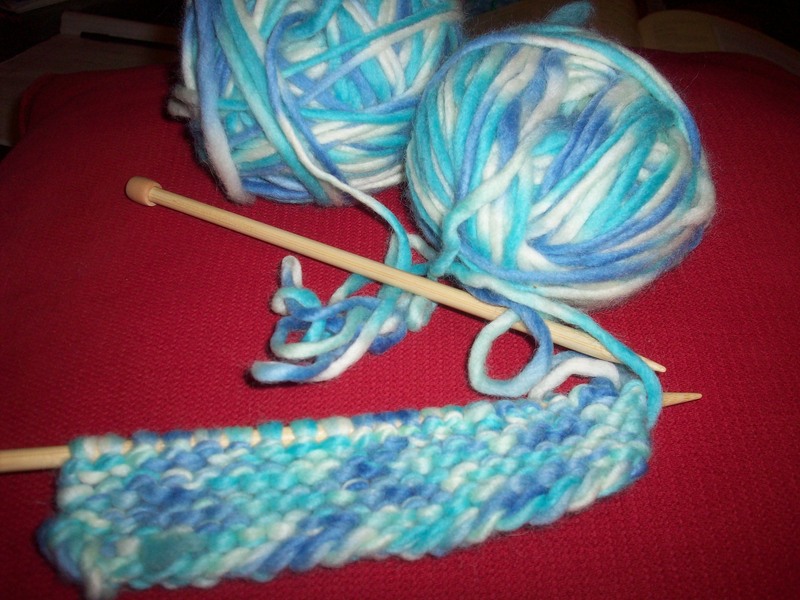 I love circular needles for socks, but only on one sock at a time. 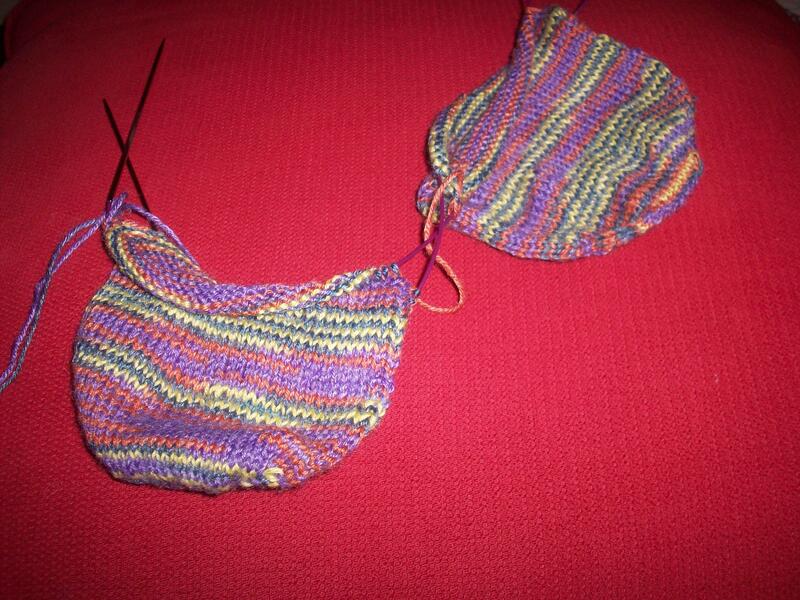 I found the method too fidgety for 2-at-a-time socks, but definitely faster than straight needles. Yes, 2 at a time on 1 needle. Fair enough, that will be the next method I try. I am getting kind of annoyed at the rearranging and pulling as I go around. Wow, you are one busy knitter! 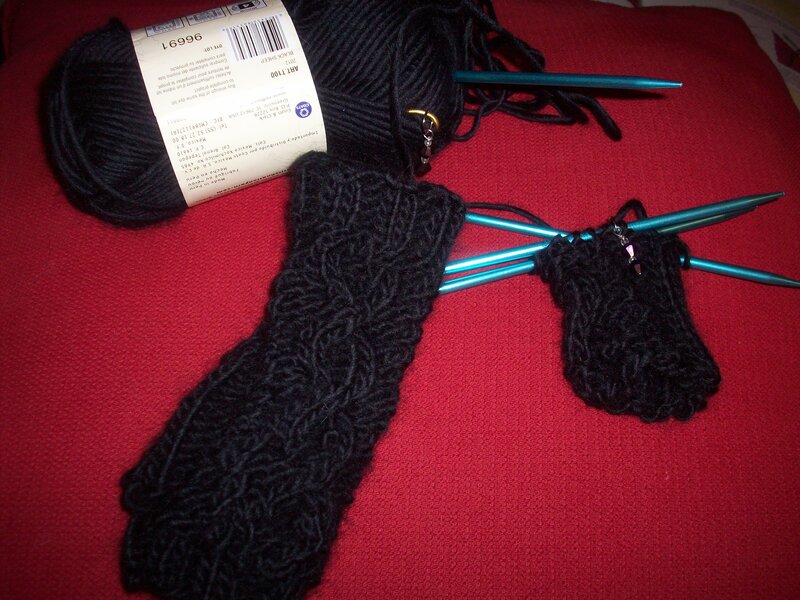 I have 2 socks on 2 circulars that are almost finished. I might try the 2 socks on 1 circular next time. I like the colors of yours. P.S. you won my giveaway =) shot me an e-mail at livingmysweetlife (at) gmail (dot) come!